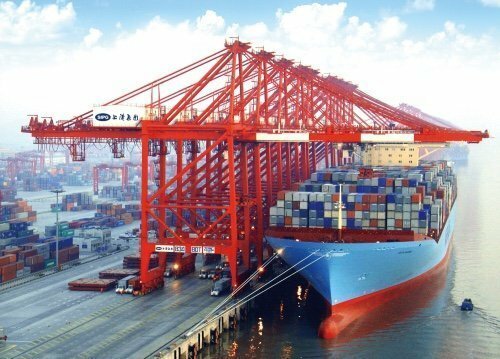 China’s crackdown on waste imports, which come into law from March 1, could hit containerlines for as much as 5m teu of business, a new report from Drewry Maritime Advisors warns. China has provided liners with significant backhaul volumes in recent years taking waste paper and textiles, a number of other recyclable materials as well as Vanadium slag from overseas. However, in January as part of Beijing’s efforts to improve the environment it announced it would ban such imports effective from March 1. Drewry estimates that the ban could take 4m to 5m teu of business away from the world’s containerlines. Nevertheless, the analysts at Drewry stressed that the loss of business was for low cost backhaul cargoes. “For the carriers, this development will not break the bank, as the ocean freight earned for backhaul waste shipments is extremely low. But they do at least offer some contribution, at least, to the costs of repositioning containers back to Asia,” Drewry noted. Possibly, my arithmetic or simple-minded-analysis … or both … is missing the point, as this seems like a fairly large number to me?